We’ve already used science to pick out the best moments of the Captain Marvel trailer, but now we’re getting into the nitty-gritty details. Let’s break it down! The first Captain Marvel trailer — and accompanying feature in Entertainment Weekly — gave us a pretty solid foundation for figuring out exactly where Carol Danvers’ first outing on the big screen might go. However, that was nothing on the details we got from this latest trailer. We’re breaking down all of the new information, theories, and Easter eggs we spotted throughout the trailer. Before we go any further: Spoiler warning. We may touch on some potential plot details that you won’t want spoiled as we work our way through the footage. As we learned following the first trailer, Captain Marvel will forgo the typical origin story, instead introducing Carol Danvers when she already has her powers. However, from the second trailer, we may still have some form of Carol’s origin story told, if through flashes of her fragmented memories, or in flashbacks. That origin story also appears to have been adjusted for the big screen. Which isn’t much of a surprise, as there have been several variations of it throughout Marvel Comics’ long and storied history. The most common, of course, is that Carol Danvers is caught in an explosion of a Psyche-Magnetron, which permanently alters her DNA, making her a human-Kree hybrid. Carol’s new, Kree DNA is responsible for her newfound powers, and she adopts the moniker Ms. Marvel, becoming a superhero in her own right. Immediately following Carol’s crash, we couldn’t help but notice that her blood is already blue. 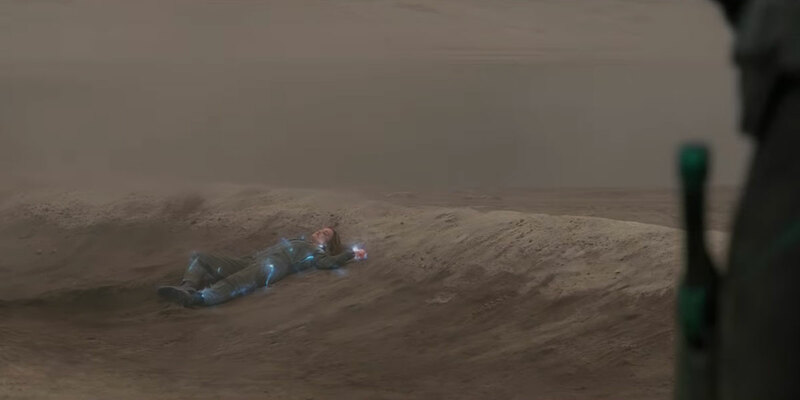 This would directly contradict the later statement that the Kree saved her, and imbued her with their blood, to make her live longer, and be stronger. Instead, what we think happened is this: Whoever was involved in the crash of the Kree ship — we’re thinking Mar-Vell — ended up perishing, but not before their essence transferred to Carol in the explosion, splicing with her DNA and making her a human-Kree hybrid. Yon-Rogg, who discovers Carol, plants a false memory of a Skrull happening across her and attacking, to make her hatred of them absolute, before taking her away to space, effectively saving her. The truth will, no doubt, come out over the course of the movie, but this is our current working theory for what, exactly, is happening. 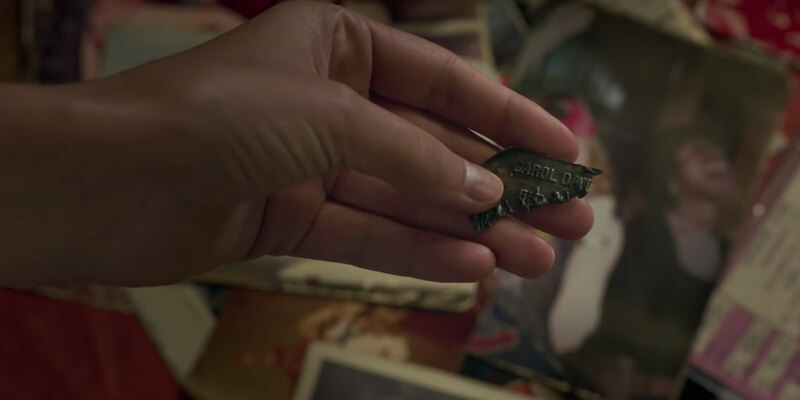 We know that while Carol is in space, she is referred to as both Captain Marvel, and Vers, but now we know why she was named the latter: because of her fractured dog tag. As she puts her memories back together, with a little assistance from Nick Fury, it is likely she will then go by Carol. But we should expect her to use her name from Starforce for more of the movie than not. 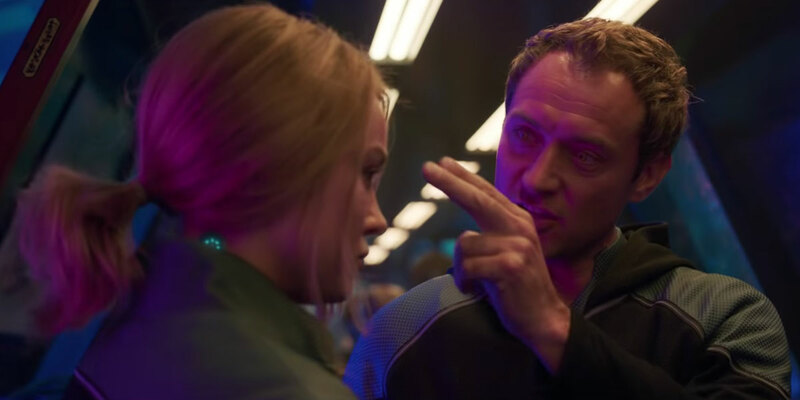 It has long been speculated that Jude Law would be playing Carol Danvers’ mentor, Mar-Vell, however any details surrounding his character have been played close to the chest. Now, with a little more footage — and a leaked Funko Pop! figure — we might have the answer why. If — like us — you felt as though something was slightly off with Law’s character, that he seemed a little shady, you’d be right on the money. Instead of playing Mar-Vell, Law is instead — allegedly — playing Yon-Rogg, Mar-Vell’s longtime nemesis. This would significantly change his relationship with Carol from the outset. What Yon-Rogg’s ultimate plan for Carol is, we’re not certain, but with her murky memories, it is highly likely that she has been manipulated into joining Starforce. When she discovers the truth, it will inevitably place them on opposite sides. Okay, this isn’t so much a plot detail, as it is a neat Easter egg. In the comics, Carol’s cat is called Chewie, named for Chewbacca from the Star Wars movies. 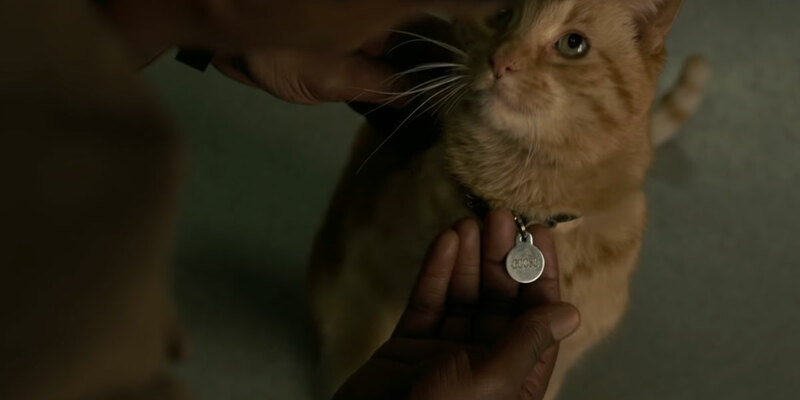 As a nod to her Air Force days, in the Captain Marvel movie, the cat is instead named Goose. Yes, that Goose, of Top Gun fame. We’re kind of loving the name switch-up there, even if Goose is less of a loveable fuzzball. We already knew that the Captain Marvel movie would take place during the ’90s — 1995 to be exact — but we’re also getting our first glimpse at some of S.H.I.E.L.D.’s early tech. Most notably, the Quinjet. This would likely tie into Carol’s role in the Air Force, as her patch said she was part of the Test Pilot school. If they were testing experimental tech, it would account for both her ability to fly the Quinjet, as well as for the crash she was involved in. Also of note is that Nick Fury and Carol are stealing the Quinjet from under the nose of Talos, a shape-shifting Skrull who has infiltrated S.H.I.E.L.D. and, at the time of the movie, is Fury’s boss. S.H.I.E.L.D. really needs to work on its infiltration problem. Finally, we get the origin for “Potential Energy Group/Alternate Sources/United States,” more commonly known as P.E.G.A.S.U.S. 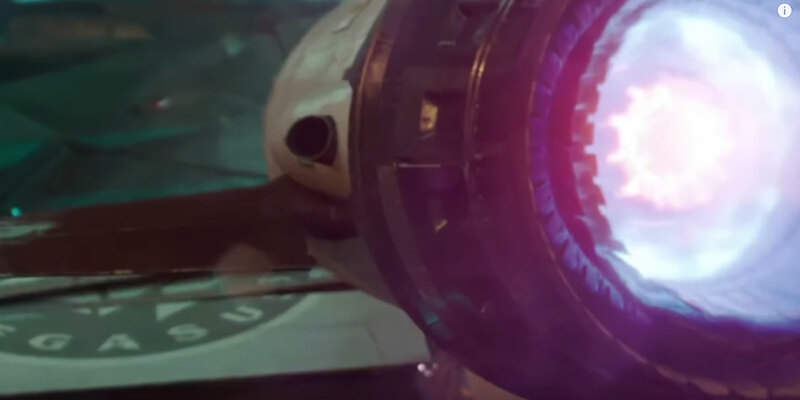 This is not the first time we’ve seen the project code used in the Marvel Cinematic Universe — it was the project under which research into the Tesseract was being conducted. 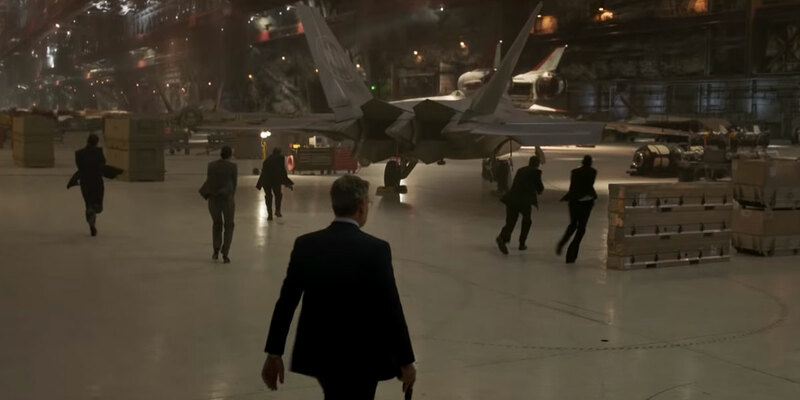 That project was begun on orders from the World Security Council, but it could have always existed in some form or another prior to the events of the first Avengers movie. 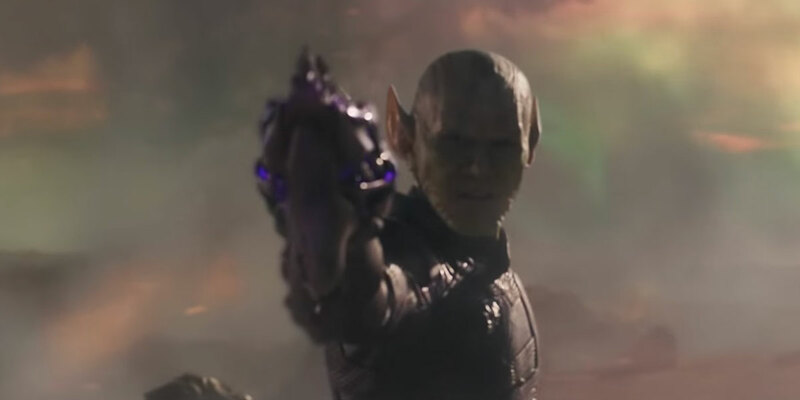 With so much potential alien technology from both the invading Skrulls, and the Kree returning to Earth, we should probably expect to see more of P.E.G.A.S.U.S., particularly when it comes to breaking down that technology and repurposing it into new forms… like the Quinjet. What details did you spot in the ‘Captain Marvel’ trailer?